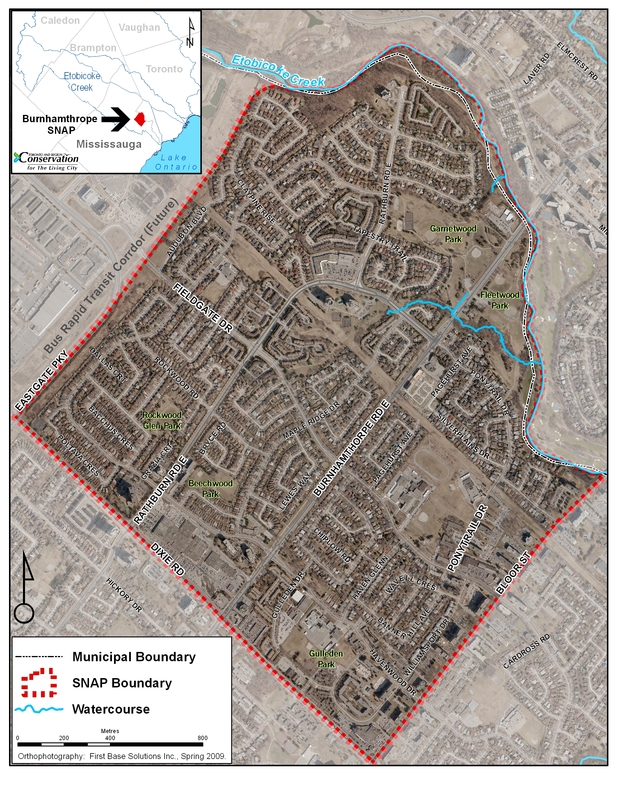 The Toronto and Region Conservation Authority (TRCA) SNAP team is bringing together partners to pilot a Tower Program and Demonstration Project in the Burnhamthorpe SNAP neighbourhood of Mississauga. If your high-rise tower is in the neighbourhood, you won’t want to miss this opportunity! The SNAP Tower Program aims to help older residential towers make improvements to their building and gain from savings. Possibilities include efficiencies in energy and water, stormwater credits and improved building conditions resulting in tenant retention. At no fee, participating towers can schedule a one-on-one meeting to learn about supportive programs and incentives and receive help to access these sources. Savings from reduced operational costs and increased tenant retention. Smart retrofits that address common building issues like energy, water efficiency and in-suite comfort. Positive company image from being showcased as an innovative leader. We are currently seeking out tower property owners interested in launching a demonstration at their tower. Due to the great interest shown, this free pilot program has been extended. *Updated* Expression of interest will now be accepted until January 31, 2019.